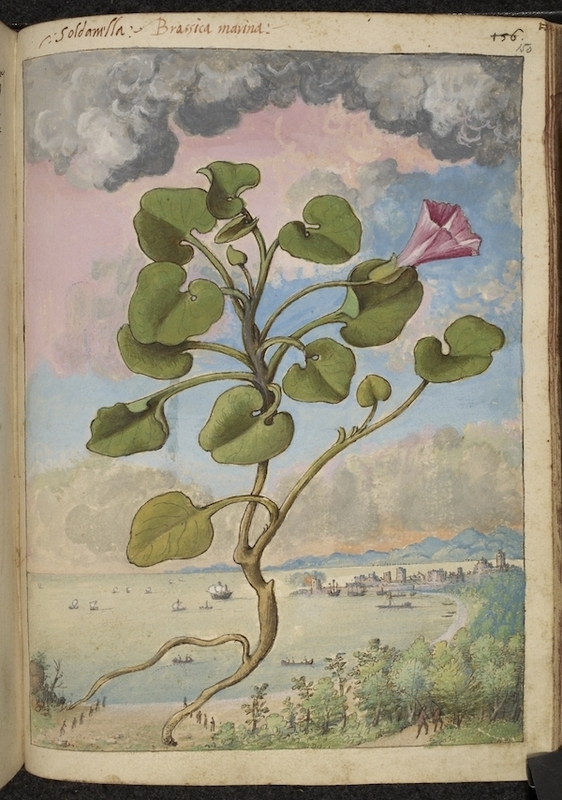 These wonderful full-page watercolour illustrations are from a 16th-century edition of Pedanius Dioscorides’s work on herbal medicine, De Materia Medica. 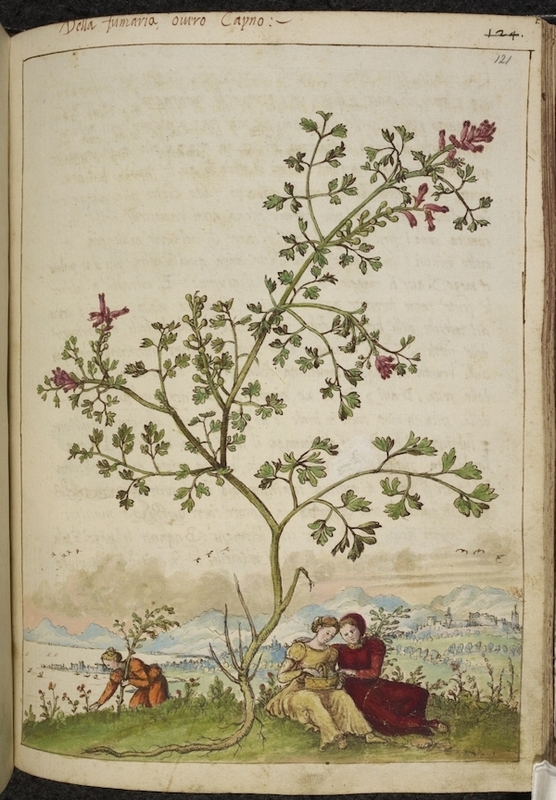 Dioscorides (ca. 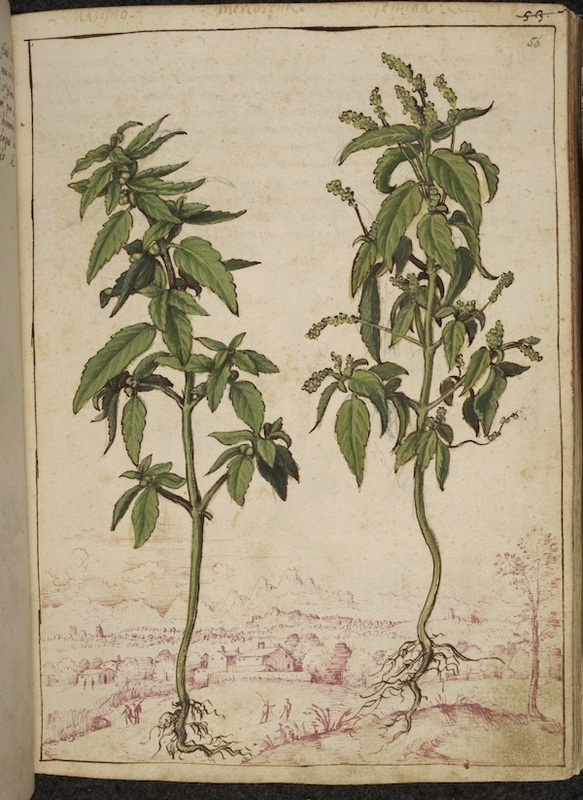 40–90 AD), a Greek physician and botanist, is considered to be the father of pharmacology, with this five-volume book hailed as the forerunner of modern pharmacopoeias (books that record medicines along with their effects and directions for their use). 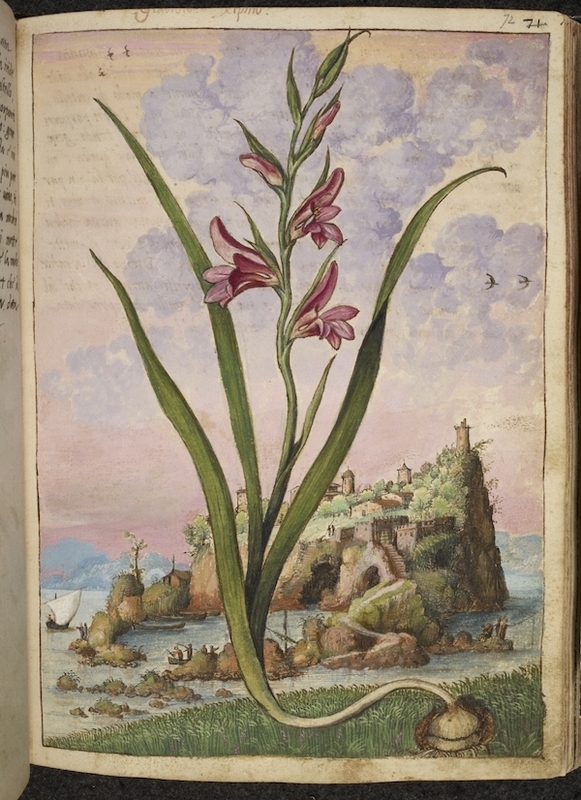 His book was translated from the original Greek to Latin, Arabic, and Spanish, and continued to be in use with additions and commentaries written by various authors, one of them being the 16th-century Italian doctor Pietro Andrea Mattioli (1501–1577). 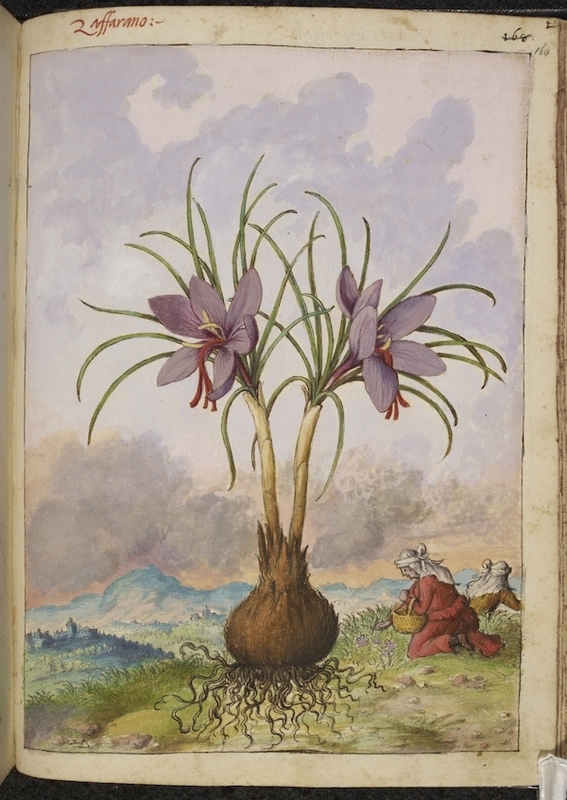 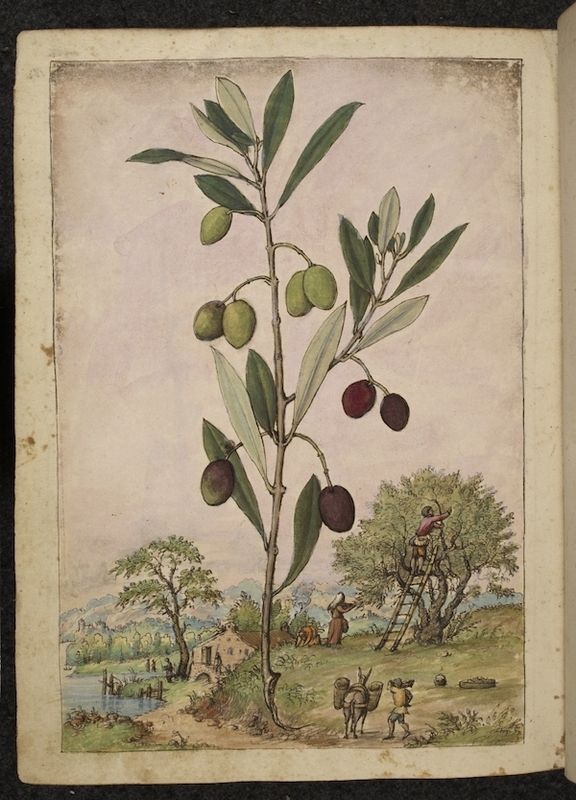 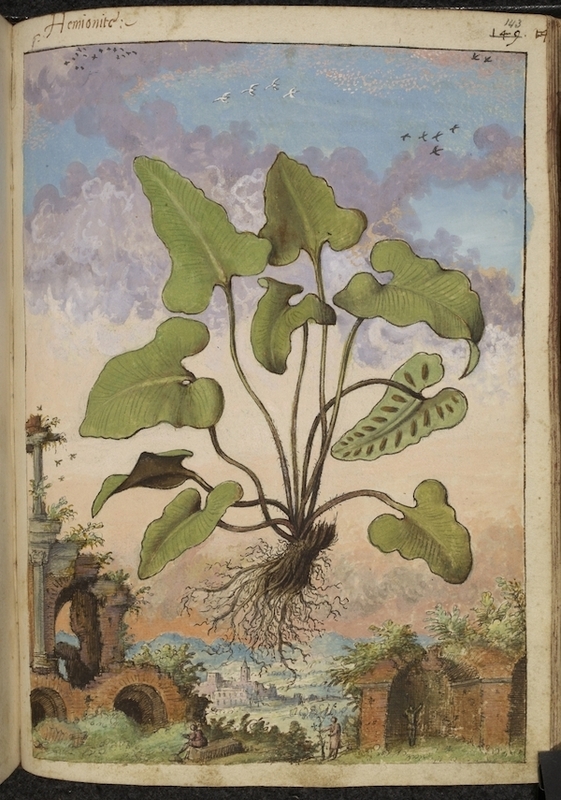 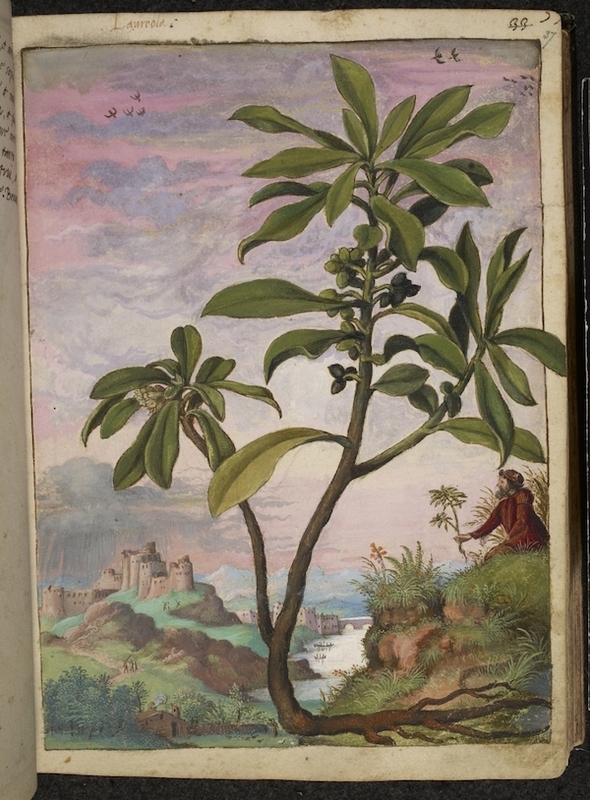 Describing one hundred new plants not included by Dioscorides, Mattioli’s expansion of the book first appeared in Italian and was later translated into Latin, French, Czech, and German. 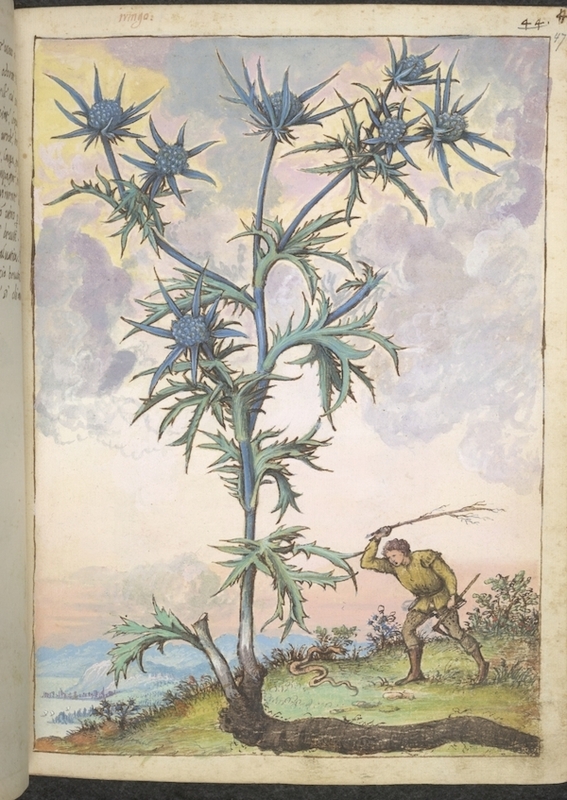 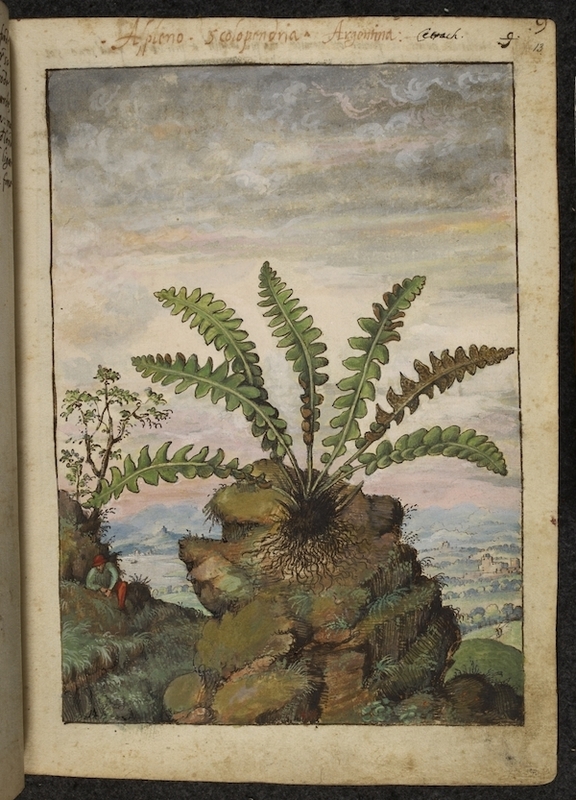 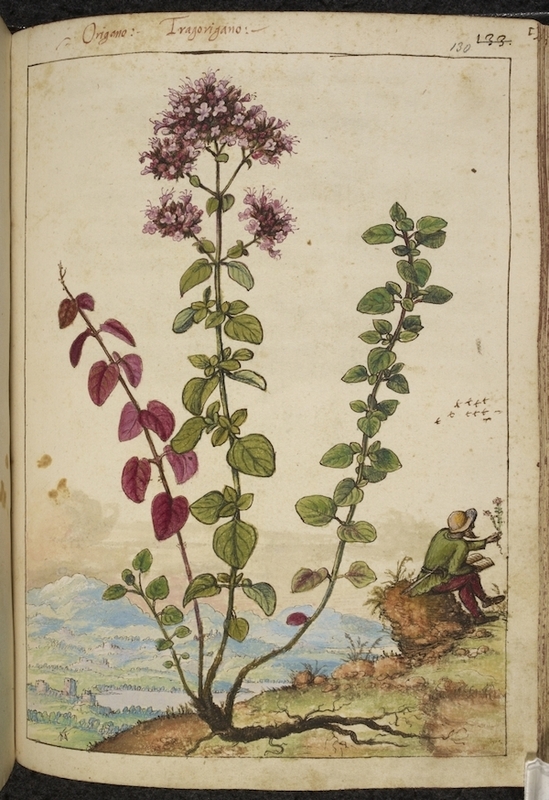 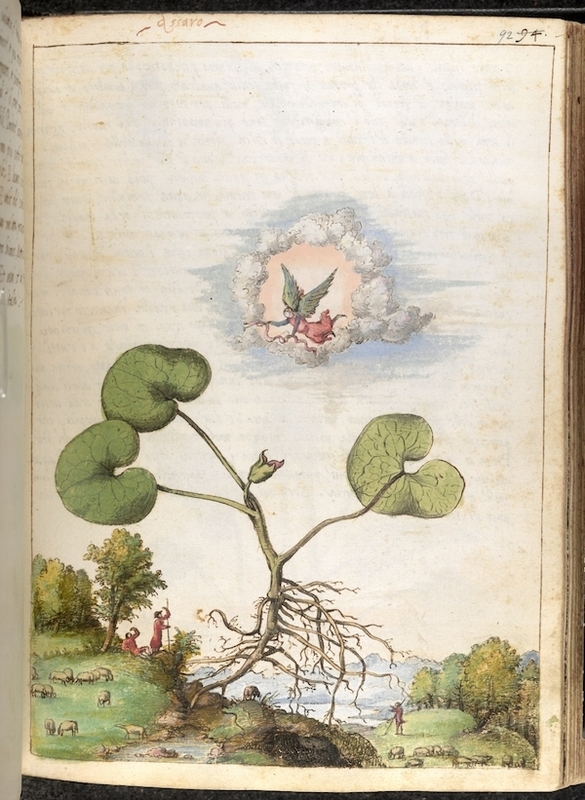 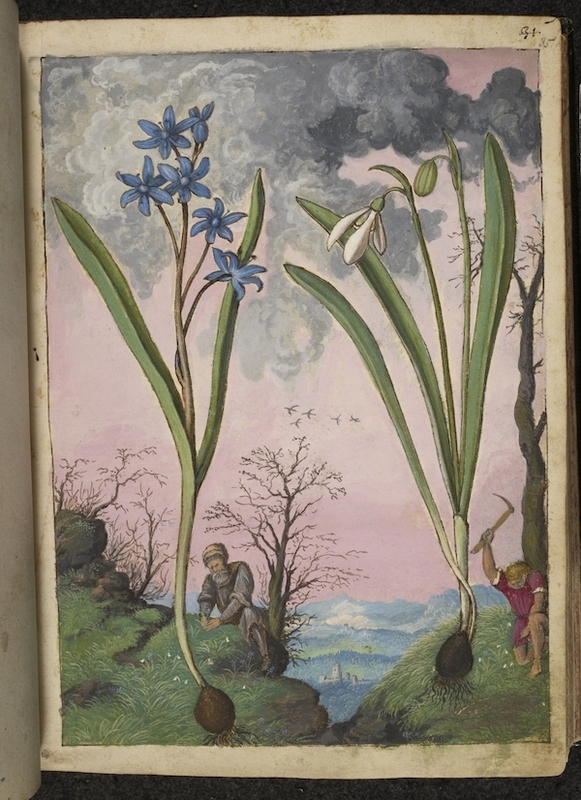 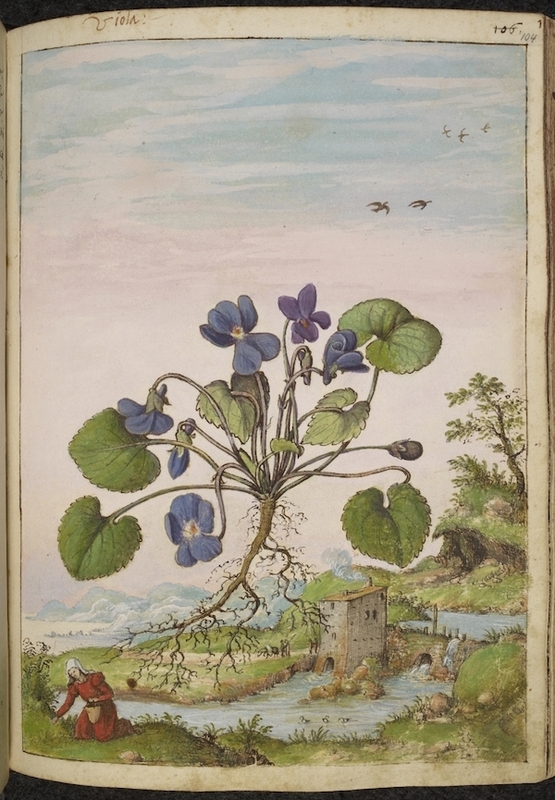 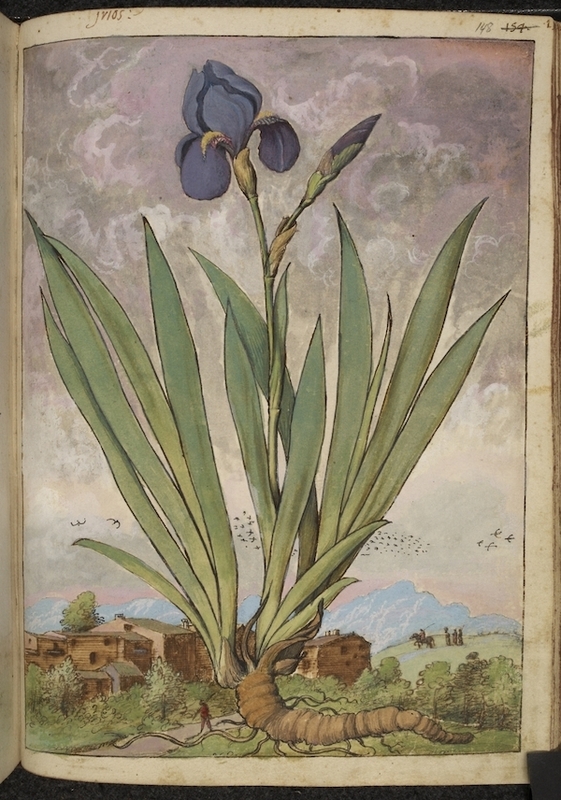 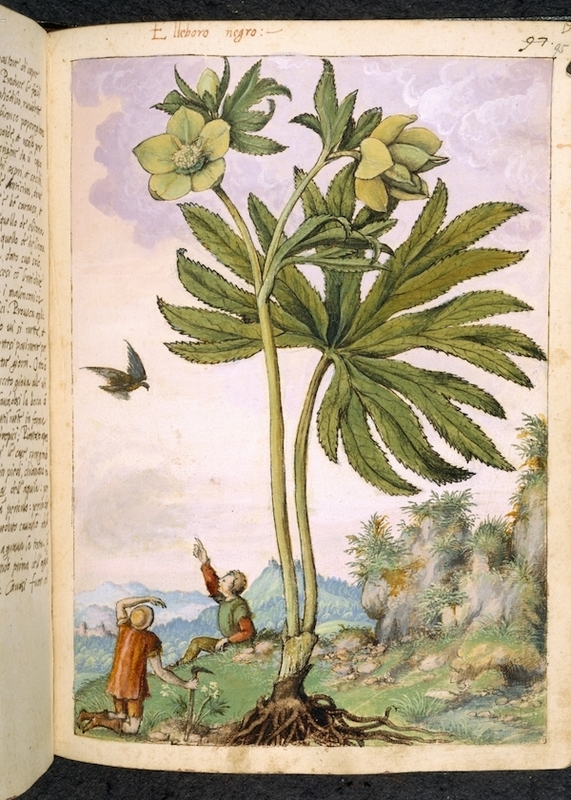 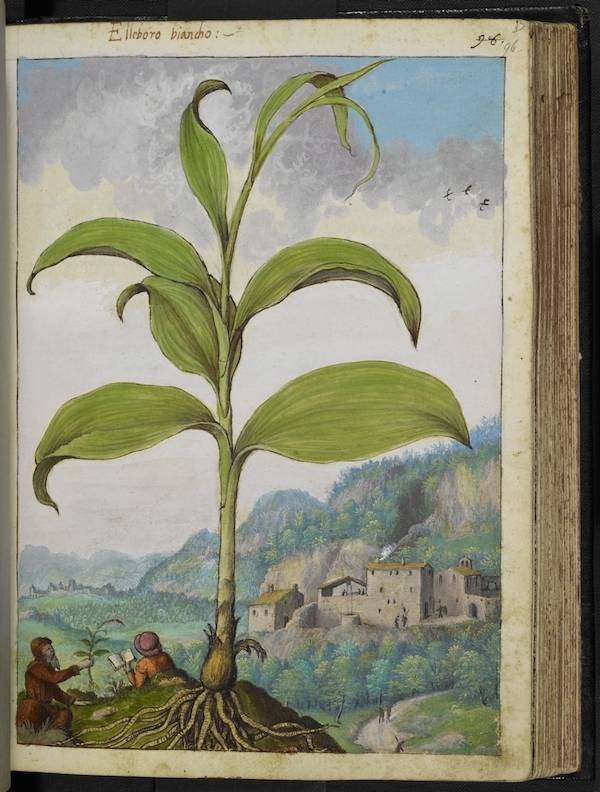 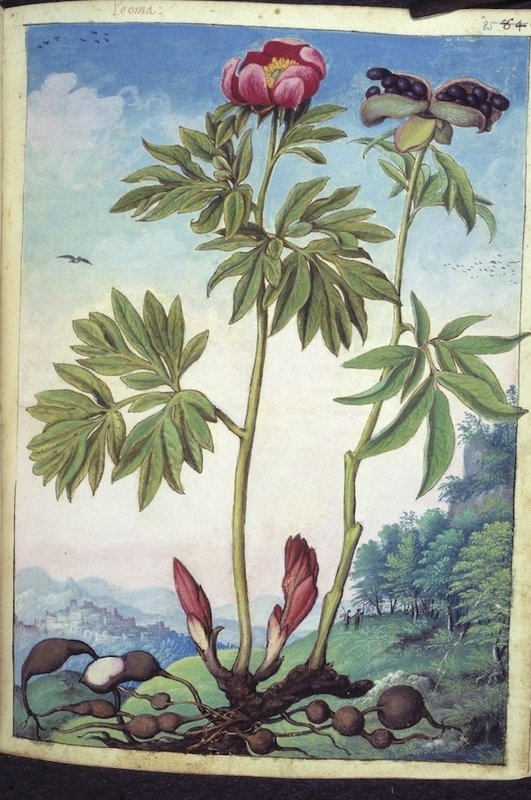 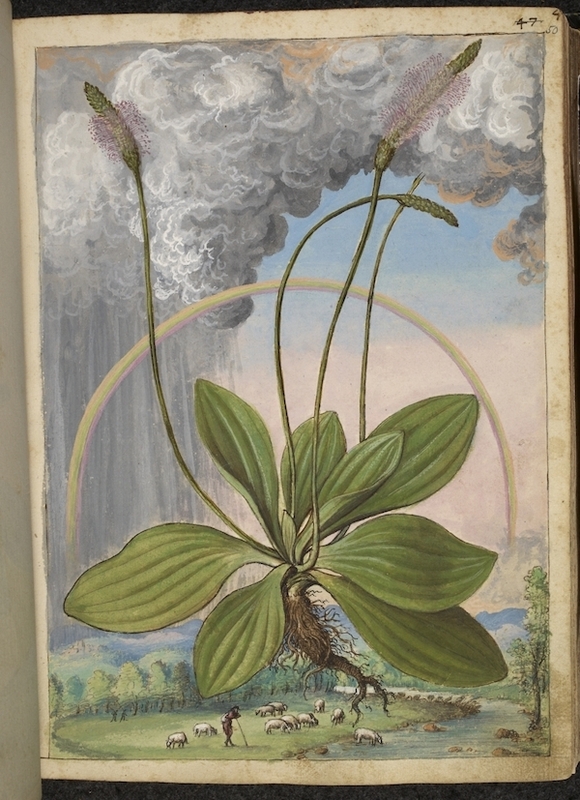 These illustrations, found in Mattioli’s version of the book, are dated between 1564–1584 and are the creation of the Italian artist and botanist Gherardo Cibo (1512–1600). 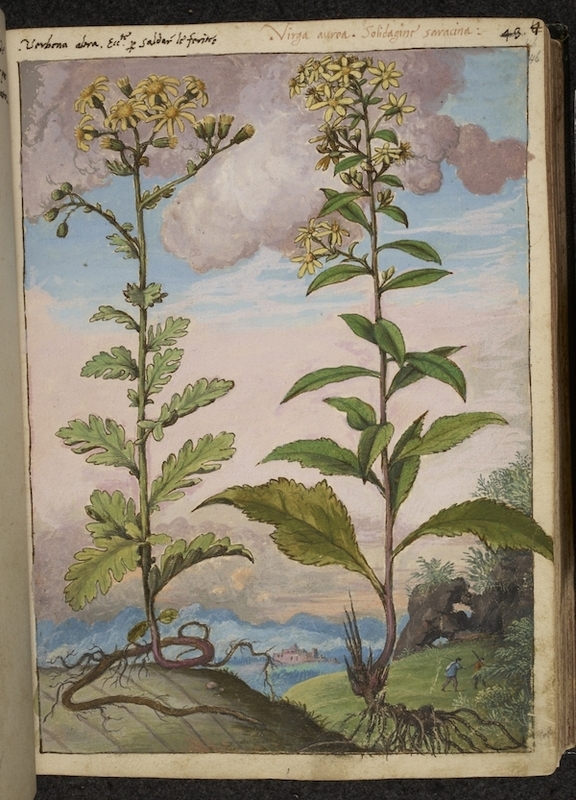 The images, in which the plants take centre stage before a landscaped backdrop, seem to bear an uncanny resemblance to the images found in Robert Thornton’s “Temple of Flora”.